Singer MyKyle joins us in the loft. 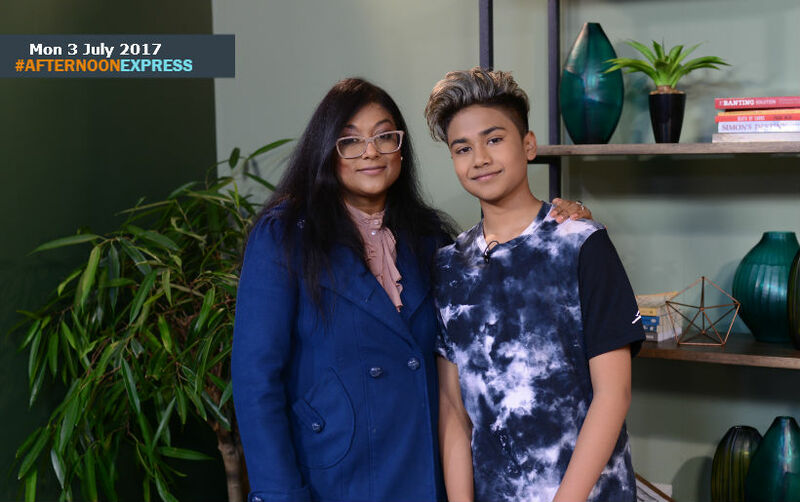 The young 15 year old singer, songwriter and producer may have officially launched his music career this year but he has been making music since he was 9 years old. Mykyle was dicovered by the Grammy Award winning, international artist Cee Lo Green, after he and his mother attempted to get a record deal in the U.S.A, that didn’t work out but he got something even better. Cee Lo Green would then go on to become MyKyle’s mentor and supporter. Mykyle may be young but his career seems to already be taking off, he launched his first single at the Rockstart Creative Festival Youth Day Celebration in Johannesburg, where he got a chance to share the stage with Some of South Africa's biggest acts such as Nasty C, Reason and Cassper Nyovest. Last year he was signed to an independent record label called The G Frequency and he has recently collaborated with SAMA nominated producer Emblazon, who has produced hits through the years with Major Artists & Labels Such As AKA, Khuli Chana, Da L.E.S and Burna Boy. It’s safe to say the MyKyle has a bright future in front of him.